Planning on traveling for the holidays to visit family or friends, or just need a getaway? 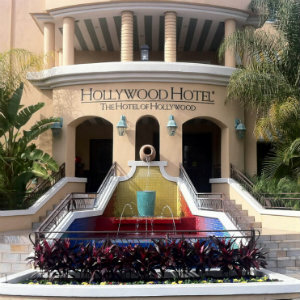 Two Los Angeles-based hotels are offering special holiday packages just for you. 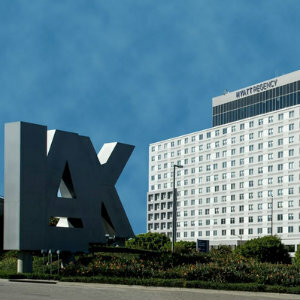 The Hyatt Regency LAX: Park & Fly Package & 10-Night Packages are being offered in direct response to travelers’ most frequent travel woes – providing both a place to stay overnight before or after a flight and parking for the duration of a guest’s travel. As the closest hotel to the LAX terminals and the only airport hotel to offer direct shuttle service, the Park & Fly package allows travelers to spend the night before a flight in leisure (instead of battling the 405) and avoid the parking chaos of LAX. Park & Fly packages offer parking for three or ten nights. Starting Rate: $209. For booking and more information visit here. Once dates are selected, just click the right arrows to locate the “Park & Fly” package option. 6225 West Century Boulevard in Los Angeles. 424.702.1234. Overnight stay during month of December in a room that overlooks the courtyard’s twinkle lights (based on availability). List of the best Christmas lights displays across Los Angeles, including historic holiday homes, celebrity hotspots and popular shopping destinations. Two $5 off coupons to enjoy a drink at the new on-site Route 66 Bar + Lounge, including special holiday cocktail, The Twinkling Cosmopolitan, which features premium Hollywood Distillery Date Vodka, Grand Marnier, fresh cranberry and lime juice topped with prosecco. *Some restrictions apply, please visit griffithparktrainrides.com/content/holiday-light-festival-train-ride for information. Starting Rate: $189. Booking and more information, here. 1160 North Vermont Ave. in Los Angeles. 323.746.0444.